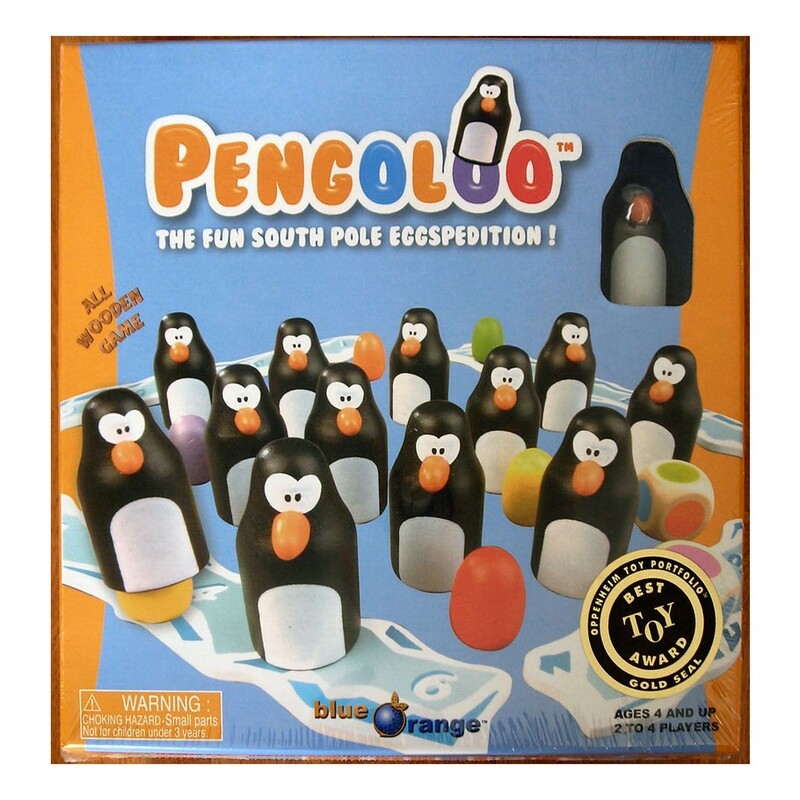 PengolooBlue Orange GamesOur Penguins are ready to play with you. Join us on our Eggspedition to find the brightly colored eggs hidden within the penguins. This all wooden game will keep youguessing at which penguin is hiding which coloredegg. Memory and a little luck will help you succeed in this fun South Pole adventure!